Just one book that I’d like to give for Christmas? I can’t and won’t stop there. 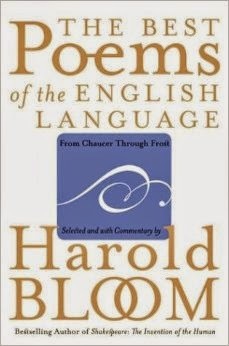 Harold Bloom’s The Best Poems of the English Language for a friend of my father’s who lost his wife. Simon Schama’s colourful history of the French revolution, Citizens: A Chronicle of the French Revolution, for my non-fiction-loving papa. Romulus My Father, by Raimond Gaita, for close friends who seem receptive to my emphatic recommendations. And, for myself, Bryce Courtenay’s The Silver Moon: Reflections on Life, Death and Writing. Oh, how I love to give books for Christmas. It’s a precious present that reveals more about the relationship between giver and receiver than most things that money can buy. But how generous is it of me to take such delight? 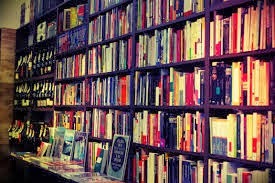 I meander through the bookstore and glance surreptitiously left and right, before opening a book - any book - from its centre. I lift it to my nose and draw in a deep breath. I buy it, and become a little high as dopamine surges into my brain's reward centre. It is a gloriously selfish exercise to buy books as gifts. Why would anyone give just one? 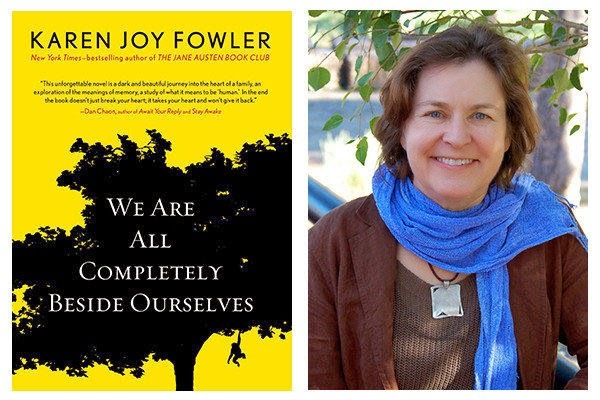 The book I’d most like to give this Christmas is We Are All Completely Beside Ourselves by Karen Joy Fowler. I loved this book so much that I want to share the pleasure it gave me with as many people as possible! The book was published earlier this year to critical acclaim – and shortlisted for the Booker Prize – and for me it lived up to the hype. I can’t tell you much about what happens without giving away a major plot twist but I can tell you that it’s about sibling loyalty, memory, parental deception, animal rights and more. It’s highly original, a total page-turner and I laughed (a lot) as well as cried. The ending was breathtaking. Other writers share my opinion. Khaled Hosseini called it ‘Gripping and surreptitiously intelligent’ and Ruth Ozeki said, ‘I wept, woke up the next morning, reread the ending, and cried all over again.’ It was definitely one of my favourite books of the year. My pick both to give or to receive, so I could re-read (and re-read again), is The Assassination of Margaret Thatcher: Stories by Hilary Mantel, published 2014. This is a collection of short stories with the eye-catching title being just one of them. Hilary Mantel is as superb at creating interesting and plausible characters in the space of a short story as she is in a major novel. Setting and location are vividly created. Sometimes the plot is almost incidental. The characters gradually evolve for the reader so that what happens seems entirely natural even though it is totally outside the reader's experience. There is a wide and eclectic range of locations and occasions. One of the best stories is about a writer visiting a drab depressing English town. Another is about a couple on holiday in Greece, another about an expatriate corporate wife living in Saudi Arabia - and yet another is set in a prestigious Harley Street medical practice. The title story has a middle-aged woman living alone and a young man she assumes to be a plumber. And the punchline to the title story is brilliant. A "must-read" for aspiring writers wanting to see how an accomplished story-teller creates unusual but believable characters. I would dearly like to give as a present the latest book I’ve read: The Color of Water. It’s subtitled "A black man’s tribute to his white mother" and is a beautiful memoir. The author, James McBride, gently unfolds his mother’s story, using her voice, while at the same time he layers his own tale. I can’t help but think the author is in search of longing, and in the first instance believed it could be found in his mothers lineage; she was originally an Orthodox Jew. 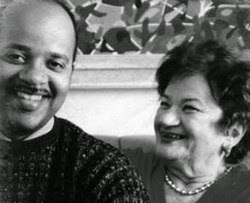 His sense of self is revealed through discovering his mother over the eight-year process of writing the book. He reminds us the gift of mothering is a woman's imperfection. He demonstrates racial categories are designed to both separate and create belonging. And, with subtle care, he lets us know the answer is greater than us all. 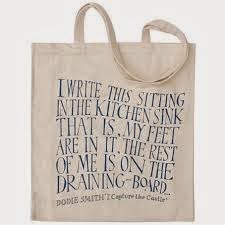 The book I’d most like to give this Christmas is I Capture the Castle by Dodie Smith (first published in 1948 and available today at all major online retailers, including via this postage free LINK). My father gave it to me when I was thirteen and he had been given it when he was a teenager himself. I still love reading it now. It’s an idiosyncratic coming-of age-story. It was Dodie Smith’s first book after being a successful playwright and she struggled for nine years to finish it to her satisfaction. All that struggling produced a unique book. I admire the fine detail which makes the reader live in the story, the authenticity of the protagonist Cassandra and her contrasting sister; the comedy scene involving them, their inherited fur coats and a train carriage (which always makes me chuckle when I remember it), and the vivid depiction of 1930s London and East Anglia before the war changed so much. This book would appeal to anyone who is over twelve years old and a bit romantic in nature (in terms of the Romantic poets). It has one of the most quoted first lines ever written: "I write this sitting in the kitchen sink." The book I’d like to give for Christmas - or at any time - to my heart friends is The Selected Poetry of Rainer Maria Rilke, edited and translated by Stephen Mitchell, a book I pulled from my bookshelf this year and re-read avidly after visiting Duino Castle in Italy, the inspiration for his magnificent Duino Elegies. 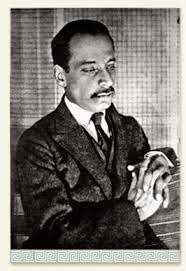 Rilke’s poetry communicates to me at a visceral level. Even if, at times, I don’t fully understand the meaning of a poem, I am often swept up and transported elsewhere by the music of his poetry. Great art often communicates before it is understood and this is very true for me with Rilke. Often it’s as though he’s speaking to me, and to me alone, whispering in my ear. 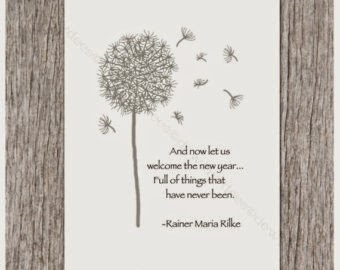 Rilke’s is not an easy path, but one truly well worth traveling. Japanese American writer who lives on an island off the coast of western Canada. It is clearly a mixture of reality and fiction. The narrative moves between a teenage character in Japan and Ruth on her island. It is 432 pages, but doesn't seem the least bit long. The book I'd like to give is Love Over Hate: Finding Life by the Wayside. It is written by Graham Long, the pastor of The Wayside Chapel in Kings Cross, Sydney. 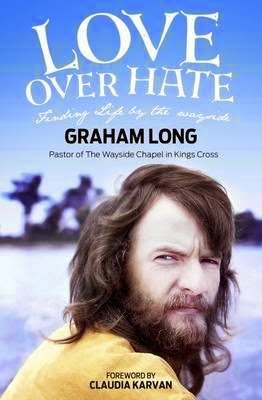 'Part-memoir, part-philosophical journey, Love Over Hate is Graham's gift to humanity - a book about life's foibles and the joy of living.' One Saturday morning in October my book club met at The Wayside Chapel cafe to discuss Love Over Hate. Graham Long happened to pop into the cafe and proceeded to join our discussion and give us a tour of the Chapel. He is a master storyteller: very witty, wise and real. I have not been so moved by a book or a person in a long time. Long's stories made me laugh out loud as well as weep. In a community of suffering people living on the fringes, Long is a light as well as a source of comfort and grace. I admire his passion, generosity, love for others and courage despite his own journey through suffering following the death of his son James in 2009. Love Over Hate is a "must read", especially suited to those who wrestle with the big questions about life and faith and are inspired to live a life of love in a suffering world. I'm going to give multiple copies of a very thoughtful prayer/poetry anthology that's gloriously enriching to give not just at Christmas but at any time. 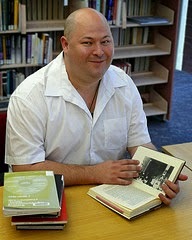 It's the work of Ivan M Granger who hosts a wonderful spiritual poetry email list and website called Poetry Chaikhana. The link is poetry-chaikhana.com. I have enjoyed his emails for years and am hugely grateful for the insights and treasures they have brought me. 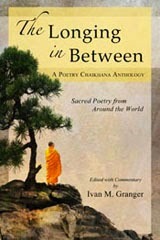 His new book is The Longing in Between: Sacred Poetry from Around the World. What makes Ivan's work so special are the commentaries that accompany the poetry selections: he is a humble, insightful, very genuine universal spiritual teacher (who would probably think of himself more as "guide" than "teacher"). It's a very special book. And to receive? I plan to read two exceptionally highly praised Australian novels: Joan London's The Golden Age and Richard Flanagan's Booker-prize winning The Narrow Road to the Far North. We do urge you to support your local bookstores - or support this BOOK CLUB by using our links (above right). Local bookstores are an endangered species. It is up to us to ensure that they will continue. And that writers can keep writing! Your comments below are always welcome. 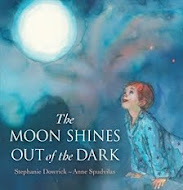 Or you can comment on Stephanie Dowrick's public Facebook page. Book Club co-host and writer Walter Mason suggests some short and long fiction: perfect gifts, but perfect also to be bought at any time for your own or others' reading pleasure. For some reason I have found myself reading lots of fiction in 2014, more than I have for years and years. Perhaps it's the times, and perhaps it's the fact that so much really exceptional fiction is coming out of Australia recently. Some of the books I mention below have been big releases and award winners. Others have been more obscure. All are well worth reading, and would make perfect gifts for the other bookish people in your life. This book won the 2014 Prime Minister's Literature Award for Young Adult Fiction, and it is incredibly deserving of such recognition. Castagna is a young writer whose fiction engages with contemporary themes of place, identity and cultural belonging. 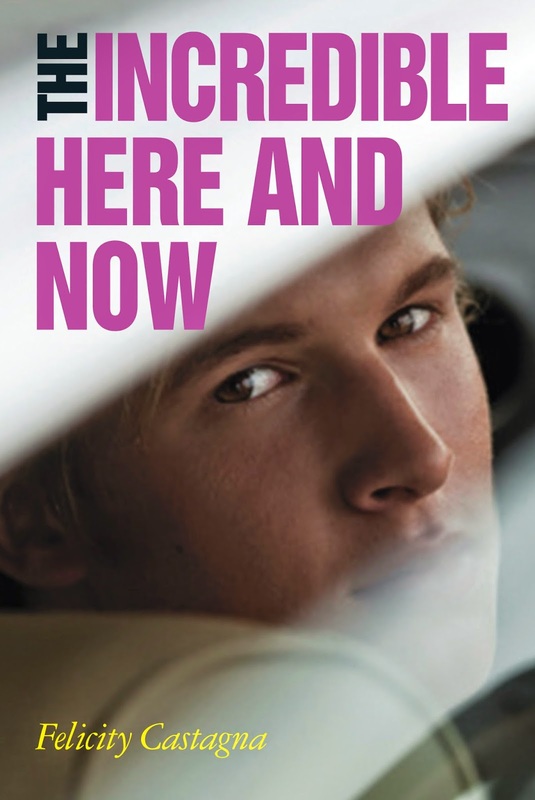 Largely set in Sydney's Western suburbs, The Incredible Here and Now is a collection of stories that describe an intensely real world that is instantly recognisable to anyone who knows the place. Castagna's characters are alive with their sense of displacement and youthful unease, and exist in a haphazard world of unglamorous accidents and relationships that expose much larger truths. I was just blown away by the virtuosity and originality of this book, and how well it captures life for young people in the early part of the 21st century. It is an excellent gift for the young adult reader in your life, and they will be totally absorbed in its resonance. The Incredible Here and Now is published by the artisanal publishing house Giramondo, so I'd like to mention here another of their fiction releases that captured my attention this year. Nicholas Jose's Bapo is the latest release from one of Australia's most interesting writers on Asia. Jose has enjoyed an illustrious literary career, characterised by his energetic pursuit of literary interest rather than career or commerce. His books are always deeply personal and eccentric forays into bookish obsessions (and I must mention here his simply brilliant family memoir Black Sheep), and Bapo is no different. It is a collection of short stories based around themes of luck, Australia and China. Each is an absolute gem, and the whole book is a belletristic delight. 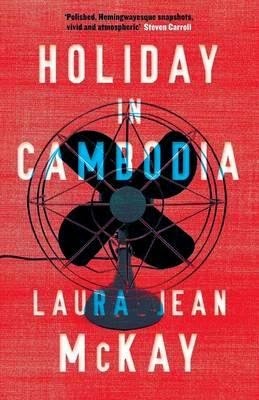 Laura Jean McKay's Holiday in Cambodia was always going to attract my attention, having published my own book about that most fascinating country. McKay's engagement comes in the form of stories set in Cambodia, describing aspects of its culture and history largely through the eyes of visitors, all there for their own, complicated reasons. The travel-as-short-fiction genre seems to be an entirely Australian invention, having been done previously (and brilliantly) by the aforementioned Felicity Castagna. 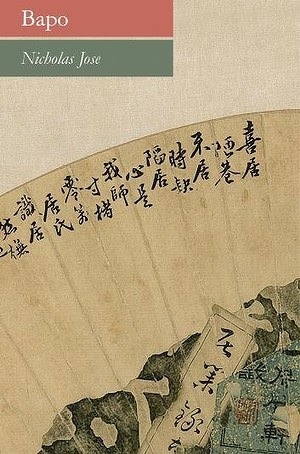 McKay is a thrilling writer, her gentle humour and subtly deep meditations on Asia, poverty and Western narratives about those things constantly engaging. Deeply original and thought provoking, a must for anyone who has travelled to Asia. 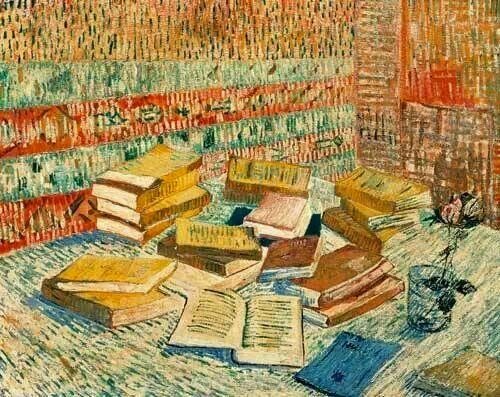 Short fiction seems to be making a real comeback, perhaps the result of our speeded-up lifestyles and the lack of time we all complain about. This year I was enthralled by a collection of short stories that wasn't simply another anthology. 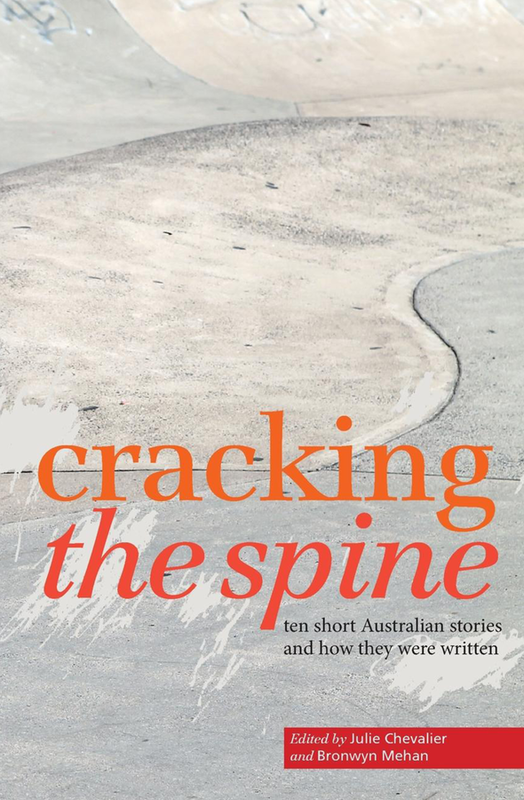 Cracking the Spine, edited by Julie Chevalier and Bronwyn Mehan, is a collection of absorbing stories, but each story is followed by a short exegesis by that story’s author explaining how and why they wrote the story, and what inspired them. This is a brilliant idea, and makes for terrific reading, especially for other writers. 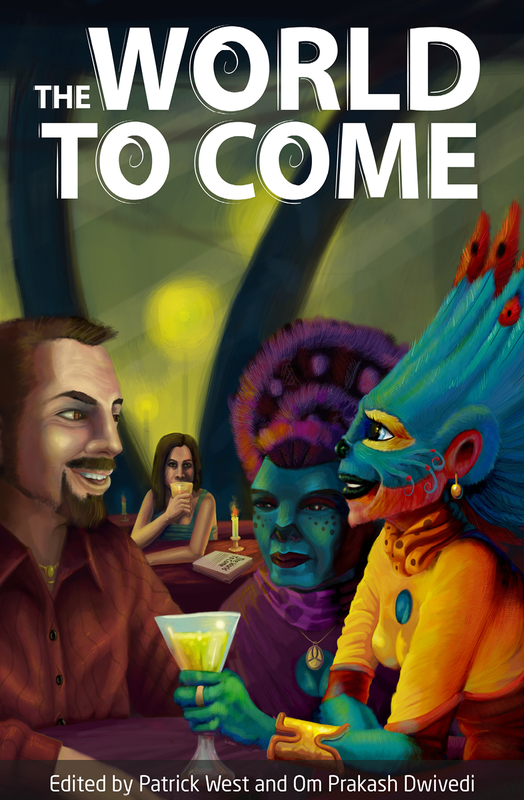 This anthology was published by the small Australian press Spineless Wonders, who also published this year a really intriguing collection of fiction about the future called The World to Come. Each of the stories is incredibly diverse, and engages with the idea of tomorrow in many different ways. I loved it, and loved the story-a-day adventure I decided to pursue. 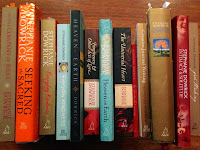 These books have re-invigorated my taste for short fiction, which I will be reading a lot more of in 2015 (I hope!). 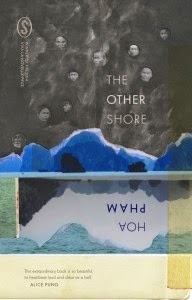 Speaking of beautiful small things, I lost my heart to Hoa Pham's novella The Other Shore, a perfect little book about spirits, politics and Vietnam which was one of the Seizure magazine's Viva La Novella award finalists. Hoa is a Melbourne writer and this haunting look at embodied spirituality and its real-life repercussions is utterly perfect. More people should know about it. 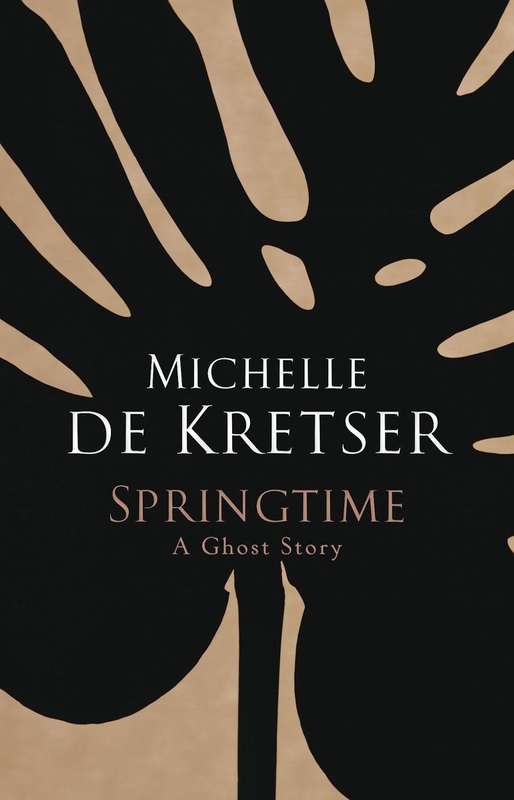 The novella, too, is having its moment, and perhaps the most unexpected fruit of this renaissance is Michelle De Kretser's latest release, a novella and ghost story called Springtime. I was lucky enough to have a long chat with Michelle about the book, and she said that it sprang forth almost fully-formed and demanded its own, eccentric, size. It is a wonderful and seductive read, and is very handsomely published in a gorgeous hardcover with colour plates. A perfect gift, and just the sort of thing to read before bed on hot summer nights. In 2014 I have re-discovered the escapist charm of Jane Austen, who I haven't read since the early 1990s and was trapped in Taipei with nothing else to read but her complete works (glorious rainy days!). The main reason I have picked her novels up again is the influence of Sydney literary historian Susannah Fullerton, a Janeite of the highest degree whose enthusiasm is catching. 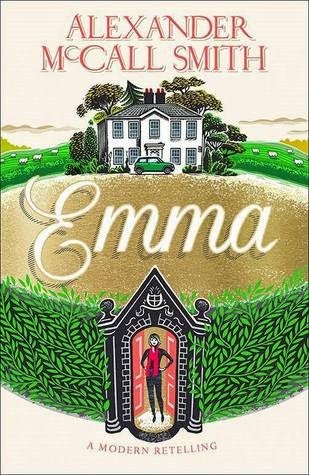 I have wickedly enjoyed Alexander McCall Smith's update of Emma, released just in time for the 200th anniversary of that great novel in 2015. Of course it's silly, but it's so much fun, and McCall Smith can enchant like no other writer. Wonderful beach reading, though it might infuriate those who are too much in love with the original. 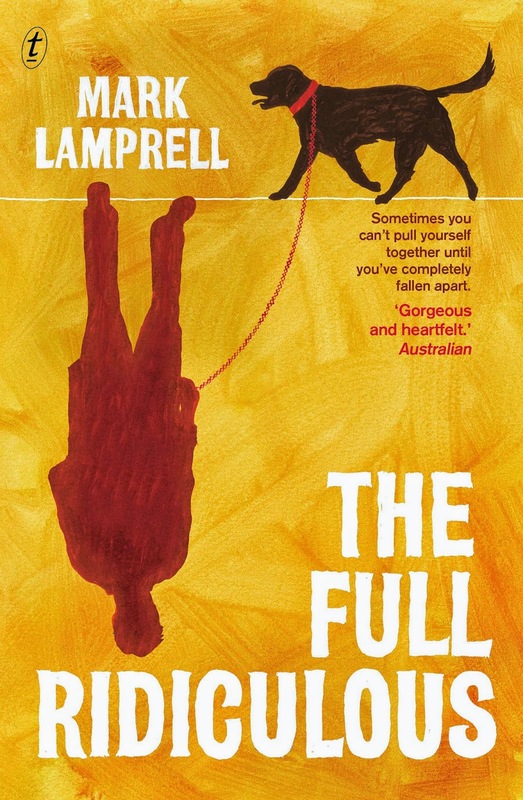 Finally I'd like to recommend a quirky, gently funny and really quite touching novel from Australian writer and film producer Mark Lamprell, The Full Ridiculous. Based loosely on real life, it is the bittersweet account of family life (and torment) after a major accident. I shared the stage with Mark at the 2014 Sydney Writers' Festival, and saw that he embodied the bumbling good nature of his characters. The Full Ridiculous should to be read by every Australian over the Christmas break, as it gives us all some perspective on our blessings and great gifts, and encourages not to be so picky with our loved ones. We would love you to comment - below. Also love you to use the bookstore links - above right - if you are intending to buy these or any other books on line. That returns a tiny % of the sale price to us: our sole support for what we hope is a Book Club that supports worthwhile books and the readers who seek them. Any fine memoirs among them? Book Club co-host and writer Stephanie Dowrick suggests some memoir reading: perfect gifts, but perfect also to be bought at any time for your own or others' reading pleasure. 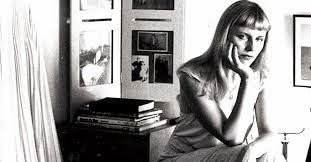 Frankly, and after decades of intense writing over several genres, I'm in awe of writers brave enough to tackle "memoir" as their chosen literary form. When it's well done, the outcome will be as gripping and rich as any novel could be. Perhaps more so, because rather than creating an imagined "real world", the writer is sharing one. Complications arise, though, because that "real world" - that continuing, dynamic, ever-changing world - is invariably shared with others and while the writer is absolutely entitled to his or her memories and interpretations, these won't always be pleasing to others. We each experience what we call "the world" in an emotionally-driven and highly subjective way: the singularity of that is amply demonstrated by memoir writers. We read similarly, too, judging other people's lives, insights, interpretations through the filter of our own lives. When we are jolted to reconsider some of our assumptions in a deep or lasting way, that's a good thing. It brings us more deeply into the human family, with all that we share and in all the ways that we differ. It can also alert us to our own presumptions and prejudices. It can give us a new sense of proportion about what we ourselves, perhaps quite unselfconsciously, over- or under-value. And, not least, isn't there something marvelous about entering someone's life and experience in the depth that only excellent writing allows? We get to share secrets, intimacies, heart-breaks and heart-mending in ways that even closest conversations can rarely express. Memoir is sustained conversation: deep, observant, intimate. And when it works, that is exhilarating. Here are my picks of this year's memoirs. I do hope you will seek out these books, enjoy them, give them, request them from your library and make them better known. The books deserve that. So do the writers. This is is a memoir by a brilliantly talented journalist and interviewer. 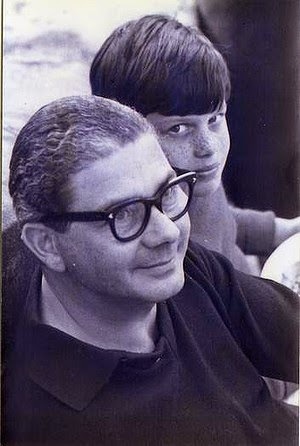 The project - more than a book - has had a most fascinating history in that it began as an intimate biography of David Leser's father, the distinguished German-born, international publisher Bernard Leser (of Conde Nast fame). However, as the project grew – and stalled – over an entire decade David discovered that this was perhaps meant to be a book about himself as a son of Bernard, but no less about his emerging, changing, developing, complex "self": himself as writer, husband, father, unconventional Jew, and genuine investigator of the often-troubling, often-magnificent human condition. And investigate he does. I was interviewed some years ago by David. It was a memorable experience and, in my case, wholly positive. So I know him at first-hand to be a deeply curious writer in a profession where that essential quality is often lacking. The central question of what we, as readers, have a right to know (or believe that we can know) about other people, either through the eyes of a journalist/biographer or through a writer's own eyes, is ceaselessly fascinating. Leser allows that question to emerge as part of his memoir. (Leser means, in German, “reader”. But the English echo of “laser” is just as apt. Here, Leser spares himself even less than he did in his many famous written portraits.) On virtually every page, he is exceptionally frank. But it felt very much to me as though he was in search of truth, on his own behalf certainly, but also for readers' sake. He is also exceptionally intelligent: willing to change his mind and to have his mind changed. The intensity of this memoir is very nicely relieved by a sense of humour that hovers even in his least-confident, darkest times. And let me rush to assure you that this allows for greater insight and truth, rather than the more usual use of humour as a sidestepping of deep and real feeling. Heart and mind are fully present in this book. 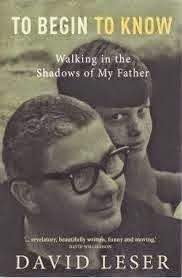 As the humane and appropriately rich portrait of an adult son in and emerging from "the shadow" of a much-loved, greatly talented father, it is totally successful. Playwright David Williamson called it "revelatory". I found it absolutely absorbing. 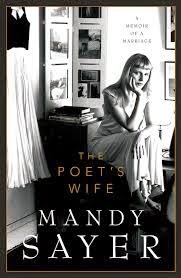 Mandy Sayer is a successful novelist but has made memoir her primary form of writing. This is where she truly has created a "place of her own". She is quite exceptionally gifted in her vividly detailed, highly sensual recall of events and the emotions that accompanied them, as well as in her expression - and containment - of those memories. Her latest book is called The Poet’s Wife:A Memoir of a Marriage and in it she herself demonstrates a highly poetic, subtle and insightful sensibility, as well as a strong command of story-telling. This is in so many ways an immensely accomplished book. It is as gripping as any novel could be but its subject matter - revealing Sayer's vulnerability - must surely have taken every ounce of her skill and tenacity. What Sayer is recording here is a complex marriage to an extremely complex man: American poet, Pulitzer prize-winning Yusef Komunyakaa. When the two met Yusuf was almost twice Mandy's age. He was and is black; she was and is white. The differences between them were so many – race, age, nationality and culture just the most obvious. But what they shared, and what emerges most hopefully through this book, is that each was in the process of becoming the writer they needed to be. Each had also emerged from incredibly demanding, unpromising beginnings. But this is not primarily a tale of literary triumph. What emerges here is the raw emotional abuse experienced by Mandy as her husband repeatedly withdrew his love, fidelity, even his affection. We may wonder why she tolerated this for what seems to be far too long. But her life had always been one of great uncertainty, demanding matching courage, and the intimacy of a memoir as rich as this one brings into question all kinds of presumptions. Reading it though, it felt good to me to know that this highly intelligent woman who has led such a courageous and unpredictable life is now living in far happier circumstances then those she describes here. And I certainly don't want you to have the impression that this book is entirely bleak. Far from it. There are many richly loving moments and certainly great evidence of a commitment to writing and to all that writing can bring and allow that is dynamic and encouraging.